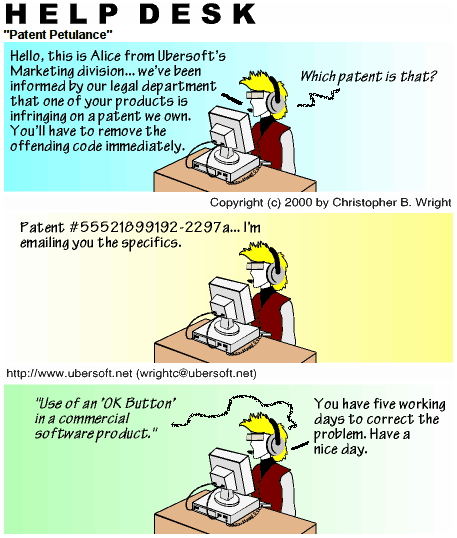 ALICE: Hello, this is Alice from Ubersoft’s marketing division… we’ve been informed by our legal department that one of your products is infringing on a patent we own. You’ll have to remove the offending code immediately. CUSTOMER: Which patent is that? ALICE: Patent #55521899192-2297a… I’m emailing you the specifics. ALICE: You have five working days to correct the problem. Have a nice day.